Apple cuts iPad 2 component orders in run-up to Christmas Apple has cut component orders for the iPad 2 by up to 25%, fuelling speculation that the vendor is reacting to growing economic pessimism in the European theatre. A report by Hong Kong-based JPMorgan analysts, picked up by Bloomberg, claims that this is the first time the vendor has cut its supply chain in this way. Hewlett-Packard's board has brought the reign of Leo Apotheker to a sorry end, replacing him with former eBay CEO Meg Whitman. Freshly installed, Whitman indicated that plans to divest HP's PSG business could be put on hold or canned. The UK is leading the way with cloud adoption and resellers that fail to 'cloudify' their offerings in the managed services space face increasing pressure. 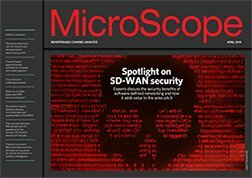 Cisco European distribution supremo Dominique Vanhamme revealed he was moving to Chinese network vendor Huawei to run European channels.